Earlier today, Google emailed G Suite customers letting them know a new version of Gmail is on the way. The email was supposed to be ‘customer confidential,’ so naturally it’s already leaked all over the place. Since then, Google has confirmed to TNW a redesign is on the way. 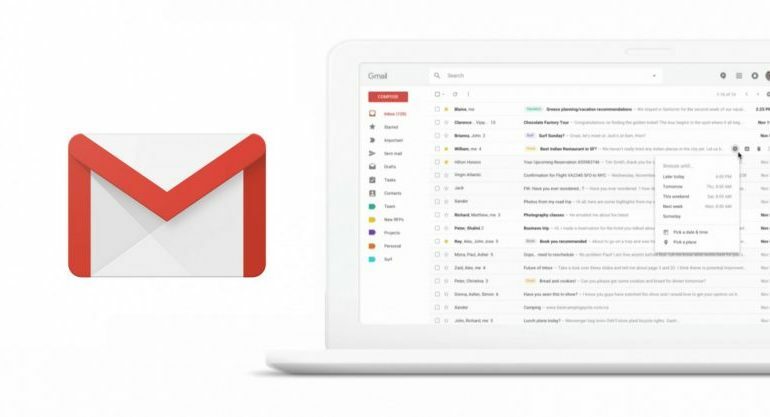 Google notes that these features will arrive first as a part of an Early Adopter Program [EAP] for G Suite customers, but that it will also be made available for personal Gmail accounts. I wouldn’t be surprised to see it roll out as an opt-in beta to start, as was the case with last year’s Calendar redesign. Offline support, meanwhile, is slated to arrive by June 2018. Google had previously announced it was turning offline Chrome apps, which were largely aimed at Chromebooks, into Web apps. That means you’ll be able to draft and read some emails without an internet connection. We’re working on some major updates to Gmail (they’re still in draft phase). We need a bit more time to compose ourselves, so can’t share anything yet—archive this for now, and we’ll let you know when it’s time to hit send.